The Articles is where we post the work of our associate family historians and other scholars. This includes previously published and unpublished articles, annotations and translations of other larger pieces (including historical essays and biographies of noteworthy Czech, Polish, Slovak, and Ukrainian emigrants). Occaisionally, there will also be a review of some particular useful resource that should help further the general understanding of contemporary genealogical research in these countries. 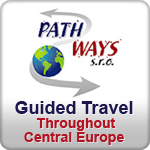 Under the heading "Travel" you will also find stories from the road, based on our own experience, as well as episodes submitted by our clients and friends to assist others with their travel planning. Source: Markus Cerman – Herman Zeitlhoffer: Social Structures in Bohemia. Regional comparison of Economy and Society of Estates and Manors, 16th – 19th century, Vienna-Munich 2002, 317 pp. Source: Archival administration of the Ministry of Interior of Czech Republic, Prague 2002. 588 pp. Indices included. Source: Translated from the original text by J.V. Polišensky 'Obecné problemy dějin Českého vystěhovalctví do Americky 1848-1914. Úvod do Ameriky I, Prague, 1992, Chapter 2. Source: Translated from the original text by J.V. Polišensky “Obecné problemy dějin Českého vystěhovalctví do Americky 1848 – 1914. Úvod do Ameriky I” Prague, 1992, Chapter 1. Source: From an article that was to be published in “The Great Book About National Costumes”, found in Novina from the 1930’s in Prague under the name “Šijeme kroje"
Source: The source of this list was the Archive of the Presidential Office of the Czech Republic. Czech Research: Without Serendipity? No Way! Source: Jan Pařez is the currator of munuscripts at the Strahov Library in Prague, author of the "Handy Czech-English Genealogical Dictionary" and "Genealogical Sources in Bohemia" (chapters I to VII published in the CGSI Quarterly "Nase rodina"). He is also Manager of Research Services for P.A.T.H. FINDERS Intl. Source: Personal reflections on a couple tours with Justin as our guide. Oh The People You’ll Meet …. Source: A true story! Based on the experiences of one client who really was "from the nobility..."
© 1994-2019 P.A.T.H. Finders Intl.